Granitoid: Mineral information, data and localities. A granitoid is a coarse grained igneous rock composed mostly of quartz, K-feldspar (alkali-feldspar) and plagioclase), with 20-60% quartz on the QAPF diagram. It usually contains minor micas and/or amphiboles. 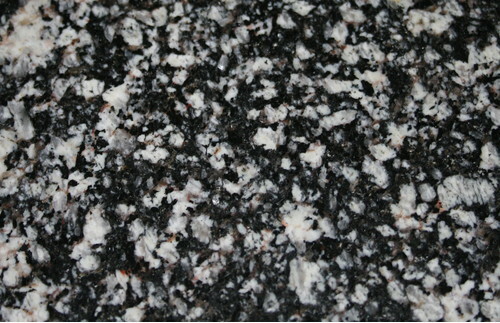 Most commonly granite and granodiorite. 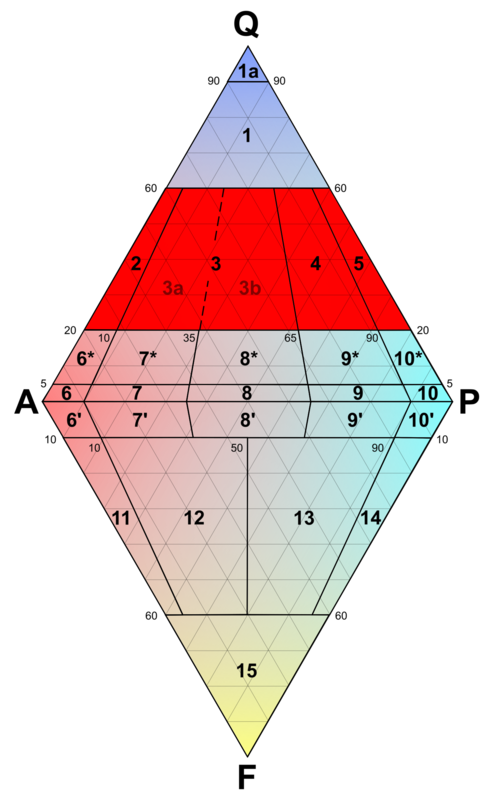 Rocks in sections 2 (alkali-feldspar granite), 3 (granite), 4 (granodiorite) and 5 (tonalite) on the QAPF diagram. 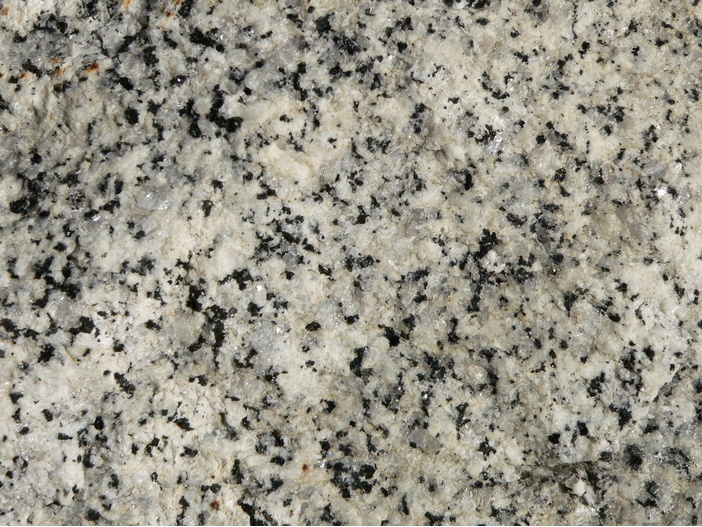 Section 3 can be divided into 3a (syenogranite) and 3b (monzogranite). Ishihara, S. (1977) The magnetite-series and ilmenite-series granitic rocks. Mining Geology: 27: 293-305. Tulloch, A. 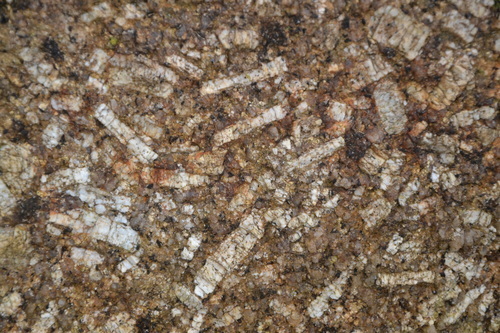 (1979) Secondary Ca-Al silicates as low-grade alteration products of granitoid biotite. Contributions to Mineralogy & Petrology: 69: 105-117. Amov, B. and Arnaudov, V. (1981) Lead isotope data on the Paleozoic granitoids and ore mineralization from the Western Balkan and the Tran district. I. Isotope ratio and geochronology. Geol. Balc., 11, 2. Neiva, A. (1981) Geochemistry of hybrid granitoid rocks and their biotites from Central Northern Portugal and their petrogenesis. Lithos: 14: 149-163. Roberts, M. and Clemens, J. (1993) Origin of high-potassium, calc-alkaline, I-type granitoids. Geology: 21: 825-828.